I haven't had a chance to shoot it yet, but the gun overall is solid. Having owned both VFC & Echo 1 SCARs, the TM version puts their build quality to shame. Last edited by UrbanMarine; 01-11-2011 at 07:10 PM. Is that the tan or black finish? It's sort of tough to tell. I tried to upload a better picture but it wont let me, so this is the best I got uploaded. All multicam, plate carrier, 5 mag pouches, 2 frag pouches, load bareing camel. lol. The next event I see you at HS, I'll let you give it a run to see if you wanna buy one. 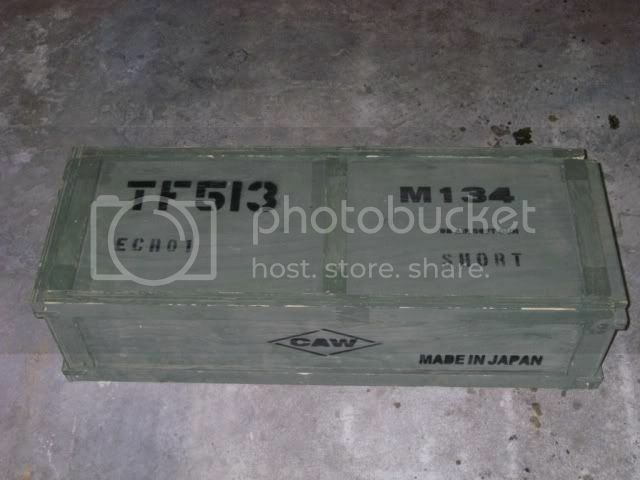 My new Classic Army M15A4 PMC X Series. 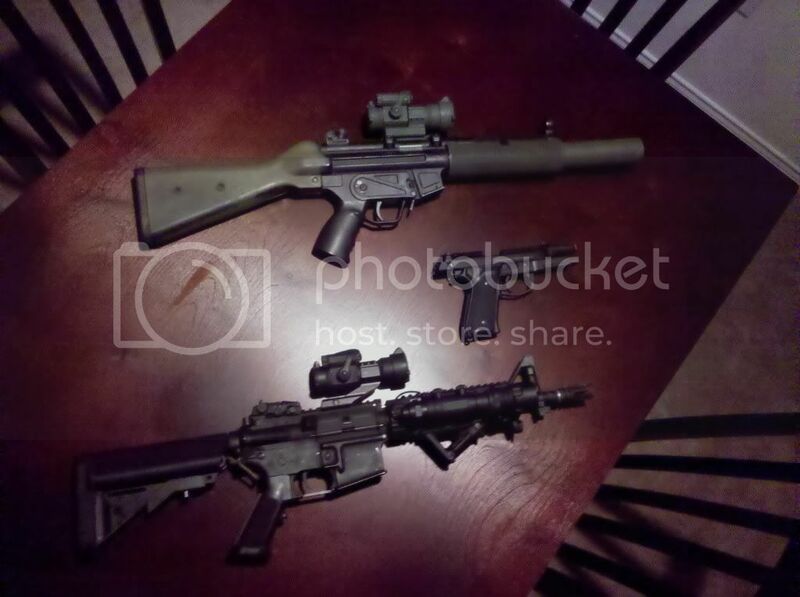 Complete with a replica EoTech, and Grip-pod. Soon going to get this thing reaching 200 feet. Chronoing at 345 average. New loadout. Got rid of all carriers. Phantom battle belt, Phantom Combat belt. Left to right. Spec Ops X-4 pouch, Pantac horizontal Pouch, Pantac roll up dump pouch, Condor double m4 pouch. HSGI single leg rig in the mail and EBB Clone Black Hawk mod rig. Ehm, it isn't Ranger Green. It's Smoke Green. AFG on M4 and CA MP5 SD2 new to me. Item two is my new beloved, Ares Tavor (gen 2). Where to start? The over all construction is produced very well. The body, i would say feels like a nylon fiber material similar to that of high end G36s. The ergonomics of the Tavor are wonderful to someone like myself that has average hands. 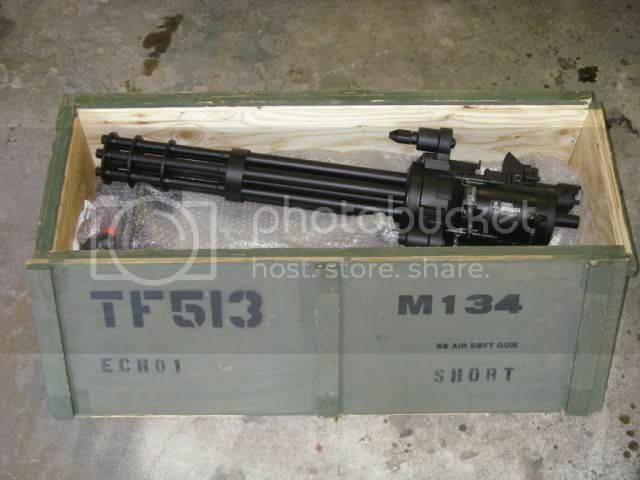 I would liken the main grip to that of a Tango Down style or M416. The forgrip is a little lacking, in my opinion. It feels 'plasticky'. It has a click to it when i hit my ring on it while performing 'shoulder the weapon' . I would like to have seen some kind of rubberized texture but alas, nothing some leather or texture palmed combat gloves can't fix. The battery size is factory 8.4v 1100. Pffish. The compartment with accept a 9.6v 2200 nunchuck, HOWEVER, the bolt may not always lock back due to wires which leads to me to the option of deans connectors. The locking bolt/dust cover is a nice feature, but the spring which moves it forward again, is a little soft and could use a coil or two cut off and reattached. Another notable feature is the package come with two 170rnd metal AR style mags. They fit perfectly in the magwell with no play. The release for said mags is firm, and the only way i could see it being an issue is if it gets hooked on the shooters rig or the like. I have yet to unintentionally drop a mag while practicing with it. The ROF is quite nice, and i estimate in the vicinity of 20 +/- BBPS with a 9.6v 2200. The sling points consist of one ambidextrous fixed point eylet, and one ambidextrous removeable qd ring at the rear. The ring is not included but can be picked up for about 7 to 12$ from any main military supply company. I used good ole' 550 cord to make a harness after removing the rear sight block which simply is junk but thats what the EOtech is for . There are several smaller details that i will spare for now untill i post a full review. Airsoft Smith, circa 400$ after tax. 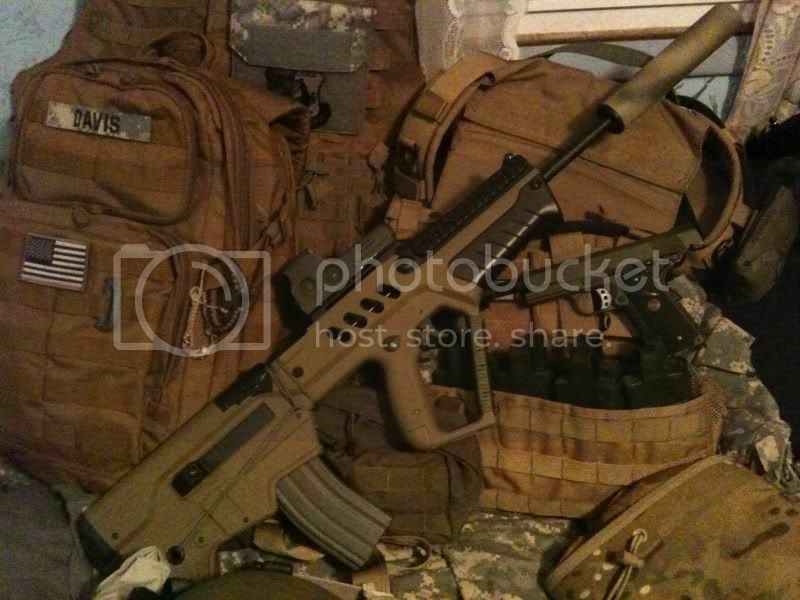 AMP Acog, Surefire Helmet Light, and Arid MARPAT MICH Cover. The latest addition to Task Force 513 Armory. The pictures say it all. You better start buying your ammo in bulk and starting getting that "Jesse Ventura" outfit together from Predator. TM M14 in a Kart EBR body. The gun shoots like a dream. I have six 80 rd. mid-caps, some of them misfeed half the time so it frustrates me. Its running on a 9.6v, 1500mA nunchuck and a 8.4v, 1200mA backup. Im going to buy around four more mid-caps so and if anyone has any advice on which brand to buy it would be greatly appreciated. Its a padded 1-point sling that utilizes "PIG-Tails" (the little things with te buckles) so that you can have one adjusted sling, and quickly switch between different primaries. Yes, it did come with am instruction manual. "Mother nature just pissed her pant suit"
Picked this baby up at the Sharonville gunshow on Saturday. The HK 416 D. It came with the red dot and the foregrip, then I mounted my Olight M20S Warrior on it. EDIT: Sorry for putting links, pictures wouldn't work. Last edited by Krylon; 04-03-2011 at 08:35 PM. Things are coming along nicely, I am super excited, the Magpul receiver body will be arriving next week so a lot of my gun will be done except for a few pieces... I might have this beast done by my next event! Next Up, Magpul MBUS Sights. To be honest here, i wasn't expecting plastic. I thought these would be powder coated cast metal... i still love them though..
Where did you get those? They look nice, and aren't packaged together.